When will be Worst Bakers in America next episode air date? Is Worst Bakers in America renewed or cancelled? Where to countdown Worst Bakers in America air dates? Is Worst Bakers in America worth watching? Duff Goldman and Lorraine Pascale have drafted twelve of the most disastrous bakers in the country for a grueling baking boot camp on Food Network's Worst Bakers in America. The two stars of sweets attempt to mold these masters of cake-wrecks and colossal cookie-fails until one vastly-improved wannabe baker rises to the level of pastry perfection. The talentless bakers will be split into two teams,and over six weeks, beginning on Sunday, October 2nd at 10pm ET/PT, Duff and Lorraine will attempt to transform their team of recruits into pastry experts. Based on their performances and progress in a series of sweet and savory baking challenges, the recruits will be narrowed down each week until only two are left standing to face off in an intense bakery battle for the chance to win the $25,000 grand prize and earn bragging rights for their team leader. Duff Goldman and Lorraine Pascale host a boot camp for brides and grooms; the contestants sculpt wedding cake toppers; the recruits go head to head and bake a four-layer celebration cake; the couple in last place gets sent home. The recruits arrive at boot camp with a county fair underway; Duff Goldman and Lorraine Pascale judge the recruits' creations in a blind tasting; in the main baking challenge, the recruits go nuts for doughnuts. A week away from the $25,000 prize, the recruits strive to impress Duff Goldman and Lorraine Pascale with their knowledge of pastries; YouTube star Ashley Adams teaches the recruits to make animal shaped eclairs; puppies serve as cake models. The final two recruits must take over a bakery and bake for a panel of baking experts; Duff Goldman and Lorraine Pascale serve as mentors as their recruits put their skills to the test; one recruit will be named the winner and take home $25,000. 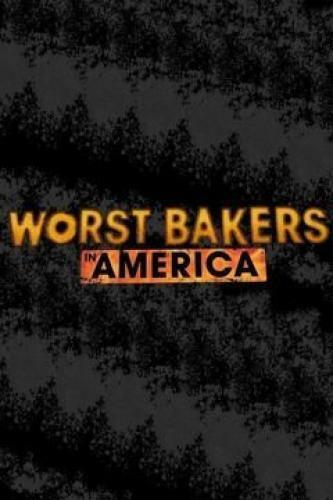 Worst Bakers in America next episode air date provides TVMaze for you. EpisoDate.com is your TV show guide to Countdown Worst Bakers in America Episode Air Dates and to stay in touch with Worst Bakers in America next episode Air Date and your others favorite TV Shows. Add the shows you like to a "Watchlist" and let the site take it from there.